Contains natural enzymes and bacteria which biologically digest unpleasant odours. 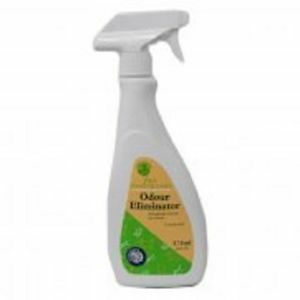 Odour Eliminator is concentrated and must be activated by using with equal amounts of water, i.e. wet the affected area well with a cloth or spray.